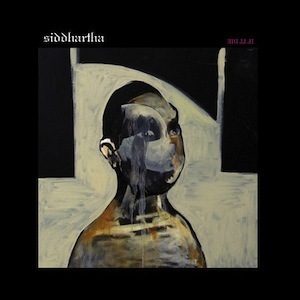 Distorted chants and sitar music provide the opening for San Francisco indie rock band Siddhartha’s newest album, If It Die. The trance-like repetition of the word Siddhartha at the beginning of the album moves the listener into a new exotic, yet peaceful realm. This other wordly experience continues throughout the album; “Her Useful Dream” can almost double as meditation music. Progressing through the album, “Blood Laughter Kisses” takes on a faster and more guitar infused sound. The minor distortion of the vocals and power of the instruments are a strong point, contributing to Siddhartha’s unique sound. The faster paced songs such as “Blood Laughter Kisses” and “Don’t Turn Back or You’ll Turn to Salt” are somewhat reminscent of The Smashing Pumpkins, but with a trance-like, other-worldly feel. We personally feel that “Amber” speaks for the entire album; the intro helps you slide into another world, and the slow melodic vocals are not too overpowering. Siddhartha is a beautiful experience. They are much more than just a band; they are a musical journey into a new world.